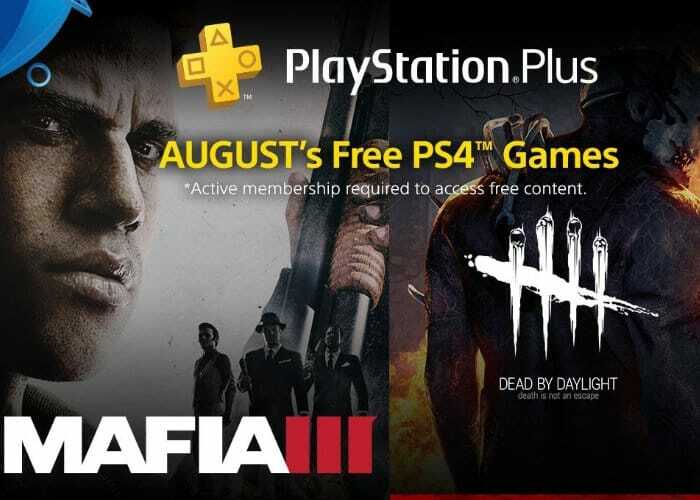 Sony has this week announced the new free PlayStation Plus games you can enjoy during August 2018, revealing that the Mafia III and Dead by Daylight games headline this month’s free PlayStation games. In Dead by Daylight one player takes on the role of the savage Killer, and the other four players play as Survivors, trying to escape the Killer and avoid being caught. Sony also explain they are offering a “a bonus PlayStation VR game for PS Plus members this month! From August 7 through October 2, PS Plus members can download Here They Lie free for their PS VR system. Experience the game where death is not a checkpoint. Explore a nightmarish city inhabited by strange, malevolent creatures in this first-person horror game, where unsettling encounters and environments come to life.” For more details on all the new games you can download and enjoy four free as a PlayStation Plus member jump over to the official PlayStation blog by following the link below.